From Wall Street Journal and USA Today bestselling author Bella Love-Wins, comes an emotionally dark mafia crime family romance serial. My name is Antonio DeLucci. They call me The Trigger. I'm the most trusted made man in the Romano crime family. I'm at the peak of my career with the mob, and in their good graces, but I'm not their blood. All this time, I thought there was an upside to that fact. It meant one day, I could have her. Natalia. The boss's only daughter and sole heir of the Romano empire. I protected her since she was a kid. I craved her since the day she turned eighteen and snuck into my apartment to tell me she wanted to be mine and mine alone. But she is forbidden. Off limits. I wouldn't dare give in to temptation. Until now. And when her father finds out what I'm now doing in secret with his sweet virgin daughter, there'll be hell to pay. Loyalty is everything to him, and I've betrayed him in the worst possible way, with the person that matters most to him. Any day now, it'll all come back to haunt me. Except right now, I don't care. She's mine, and I'll move heaven and earth to keep her. No matter the cost. No matter how far I fall. Even if it kills me. 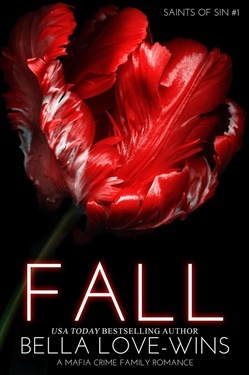 Author's Note: Fall is book one of the Saints of Sin Series. This is a full-length serial romance that ends in a cliffhanger. (Book cover design by Book Cover By Design (Kellie Dennis). 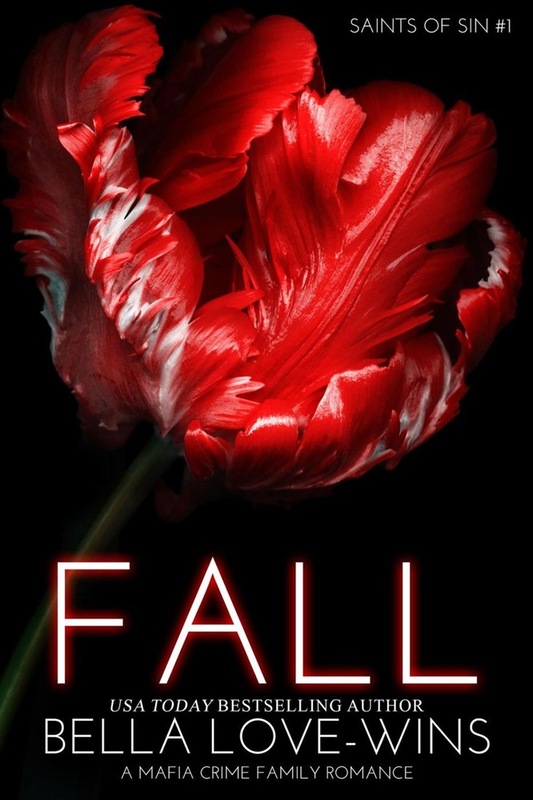 Acquista Fall (A Mafia Crime Family Romance) in Epub: dopo aver letto l’ebook Fall (A Mafia Crime Family Romance) di Bella Love-Wins ti invitiamo a lasciarci una Recensione qui sotto: sarà utile agli utenti che non abbiano ancora letto questo libro e che vogliano avere delle opinioni altrui. L’opinione su di un libro è molto soggettiva e per questo leggere eventuali recensioni negative non ci dovrà frenare dall’acquisto, anzi dovrà spingerci ad acquistare il libro in fretta per poter dire la nostra ed eventualmente smentire quanto commentato da altri, contribuendo ad arricchire più possibile i commenti e dare sempre più spunti di confronto al pubblico online.